Yet, instead of terminating the Renewable Fuel Standard (RFS)—which mandates a sharp increase in renewable fuel consumption by 2022—the Trump administration has doubled-down on biofuels. President Trump has said that he supports ramping up ethanol production even further by allowing gasoline containing 15 percent ethanol to be sold year-round. Doing so would expand ethanol use and encourage the EPA to ratchet that percentage up in subsequent years. Not surprisingly, the president made his announcement in Iowa, a major corn-belt state. Gasoline nowadays typically contains just 10 percent ethanol (E10). 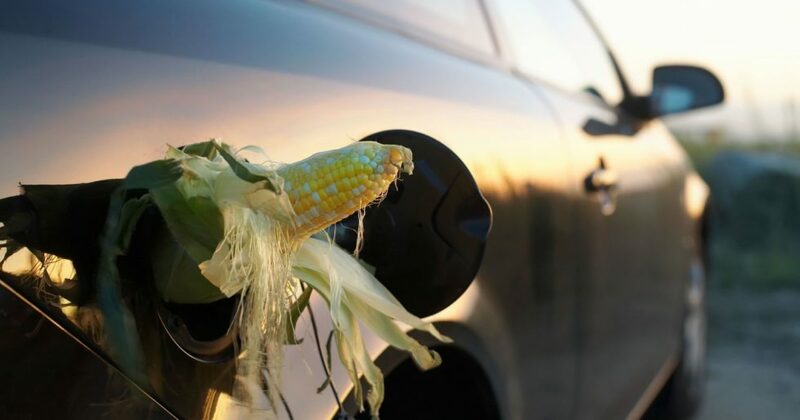 The EPA currently bans selling richer ethanol blends during the summer because of concerns that it contributes to smog on hot days and damages the engines of older vehicles and some boats, motorcycles, and lawn mowers. The lifecycle emissions of ethanol are difficult to measure, but a comprehensive meta-analysis in the American Journal of Agricultural Economics found the greenhouse gas benefits of ethanol to be almost zero. For other pollutants like nitrogen oxides (NOx) and ozone, ethanol actually is worse than gasoline.